As a construction business grows, it is common for them to require functionality more advanced and specific to the sector than their existing Sage accounts software was originally designed to provide. At this point it is common for businesses to look at industry specific solutions like Eque2, to provide the advanced functionality they now require. In July, Eque2 has seen a number of growing businesses replace their Sage CIS and Job Costing software for a more advanced construction accounting solution. Many of these businesses were struggling with the lack of functionality they had in place to manage industry-specific processes such as; managing retentions, application for payment, valuations and quotations. With full integration into Sage 50 Accounts, Eque2 provides these businesses with the perfect end-to-end solution. Read some of the main drivers which led these businesses to choose Eque2. 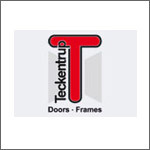 Manufacturer and supplier of doors and roller shutter systems. As a growing business using Sage 50 Accounts with Sage CIS, the business needed to implement a solution to support their future growth and reduce reliance on the number of manual spreadsheets they had running alongside their other systems. Teckentrup invested in Construction for Sage 50 Accounts to help control budgets, streamline activities, reduce duplication and deliver improved business intelligence around the profitability of their contracts. 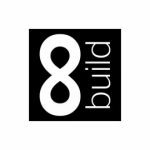 Provide construction and related services (design, build, refurbishment and maintenance) for public and private sector organisations in a variety of market sectors. 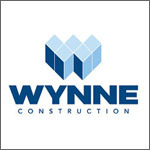 Wynne Construction Ltd decided to replace their Sage Job Costing solution for a more modern construction-accounting software package to improve contract visibility and reduce manual work. Eque2 will provide Wynne with a modern system which will be continuously developed to meet industry needs, whilst fully integrating with their current Sage Accounts software. Roofing contractors in the South West of the UK. Previously using Sage 50 Accounts and Sage Job Costing, the business was looking for a solution that integrated with the latest release of Sage 50 Accounts and would match the systems’ modern look and feel. They also required a solution that would allocate their purchase invoices against contracts and allow them to track spend against budget throughout the lifecycle of a job. 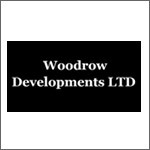 Woodrow Developments moved forward with Construction for Sage Accounts which provided them with a fully integrated solution which removes duplication and repetitive data entry. Fast growing principle building contractor specialising in complex construction, refurbishment and maintenance projects for the Health, Education and Commercial sectors. As a fast growing business it became apparent that the current Sage 50 Accounts and Sage Job Costing software was becoming too onerous and time consuming to maintain. 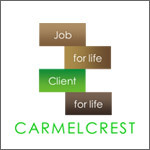 Carmelcrest have invested in Construction for Sage 50 Accounts to help automate their project costs and revenue controls.